With its updates to quickly changing content areas, a strengthened visual presentation and the addition of new co-author Paul Fischer, the new edition of this highly readable text is more educational and valuable than ever. Inorganic Chemistry, 5/e delivers the essentials of Inorganic Chemistry at just the right level for today’s classroom —neither too high (for novice readers) nor too low (for advanced readers). 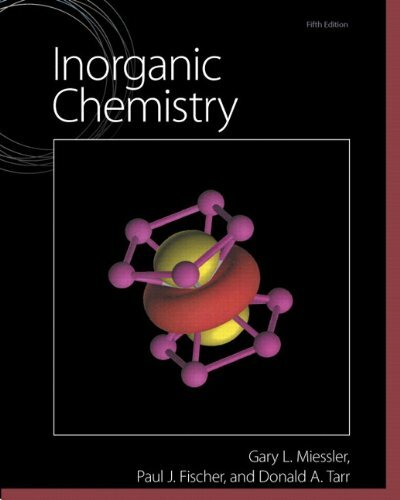 Strong coverage of atomic theory and an emphasis on physical chemistry provide a firm understanding of the theoretical basis of inorganic chemistry, while a reorganized presentation of molecular orbital and group theory highlights key principles more clearly.